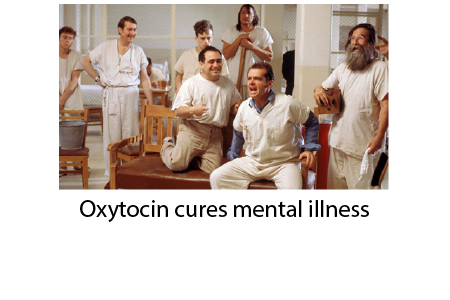 Blog Can oxytocin cure mental illness? In my last post, I discussed how the principle of resonance creates the universe. In this post, I would like to discuss a potential link between oxytocin and mental illness. A human being is an accumulation of cells, firmly held beliefs, and many demons that invite into our psyches to help run things. According to the Vedic chakra system, we are organized among energetic nerve plexuses. Whether literal, metaphorical, or something else, the system works to organize thinking about human motivation and function. At the base is the root chakra which controls safety and survival. A human won’t last long if it doesn’t avoid danger so without feeling safe, the rest of the system of creation, socialization, hove, expression, intuition, and spirit have to be put on hold. 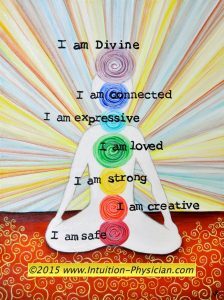 We function well when all our chakras are working together. We feel safe, we are creative, we feel love, we can express ourselves, we use our intuition, and we are spiritually connected. Yesterday, I ran into a friend whose son has battled depression, substance abuse, and suicidal depression and it made me think about the current state of our children in the modern world. I am the first to admit my shortcomings as a father and sadly, not everyone is cut out to be a parent. Like many, even when we are aware of our patterns, we can often default to modeled dysfunctional behaviors from our own upbringing. It seems to me that the problem with modern alienation is the result of many factors. We have all become transhuman by virtue of being connected to the smart phones. Instead of learning history, we can do a web search. Instead of taking a walk with friends, we text them and post images to social media. With kids exposed to the very best versions of their peers on social media, they feel inadequate. I had a very interesting conversation with a patient who told me about his research into depression as a medical condition which is mappable and fits well into a medical paradigm. While a depressed mood presents certain phenomena, I don’t believe it is the cause of the condition. How can you trust a profession that labelled homosexuality as a mental disorder treatable with electroconvulsive therapy? Further, I don’t believe that mental illness in general derives from genetic predisposition. To me, mental illnesses ranging from so-called autism, mood disorders, and personality disorders are really emergent phenomena from dysfunctional human experiences. In other words, humans need to be seen, heard, touched, loved, accepted, and actively acquiring wisdom. Any failure results in an oxytocin deficit, spiritual/psychic dissonance and neurotic and sociopathic behavior. Labelling and pharmacological blocking by a medical model may prevent tragedy but in the long run doesn’t eliminate the root problem. The root problem is that the light of the human spirit, when degraded by fear, confusion, coercion, and materialism is choked of oxygen and flickers in isolation. Perhaps the social, economic, political, moral, and religious climate in which we are raising children is not amenable to healthy human development. Still, I take comfort in knowing that the path towards dehumanizing humans is an arduous one and that the engine that drives us via love, connection, intuition, and morality will never be vanquished with electromagnetic waves, fear-mongering, forced delusions, and medicalization.